Humanist Community of Central Ohio (HCCO) and Central Ohio United Non-Theists (COUNT) are our August TEAMS of the month in recognition of their strong collaboration to assist the homeless in their area. HCCO and COUNT are both members of the Columbus Coalition of Reason. At least once a month, volunteers from both groups come together to work at the Community Shelter Board facility in Columbus, Ohio. 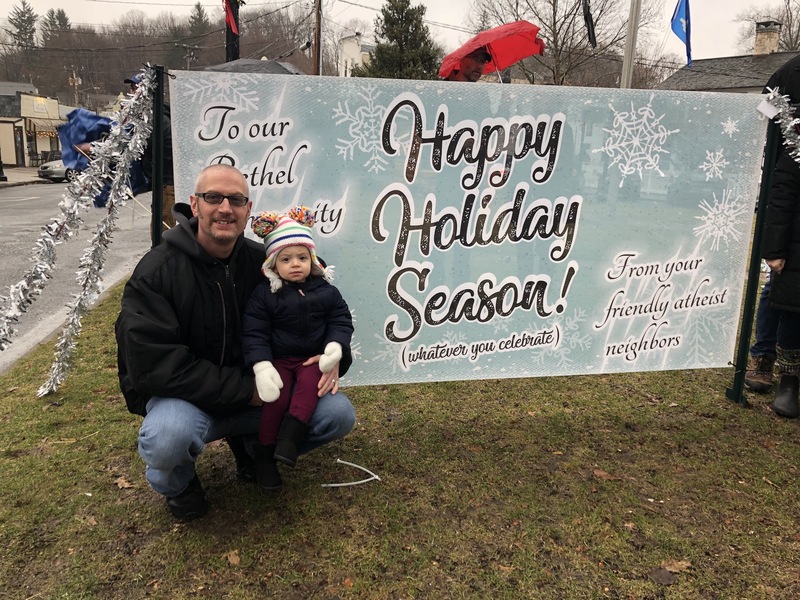 They’ve teamed up on nine such events so far, helping serve food and clean up at a facility that provides housing and meals to homeless families and individuals. 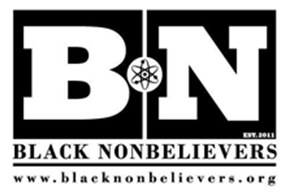 BBN is a Foundation Beyond Belief (FBB) program to encourage and publicize non-theist charity. 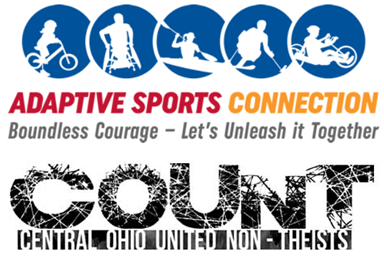 HCCO recently earned Bronze/level 1 status for 2016 and COUNT has Gold/level 3 status for 2014 – 2016. 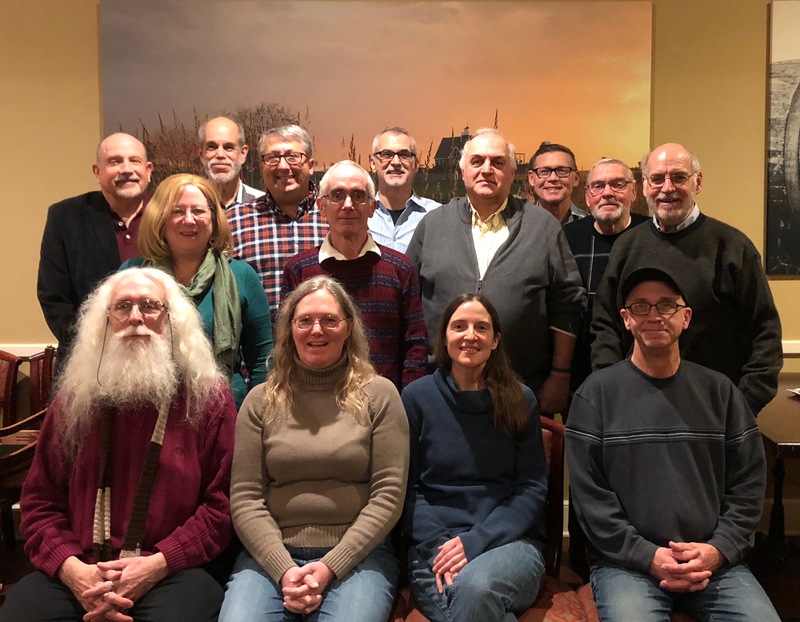 Columbus CoR has four BBN teams with Mid-Ohio Atheists (MOA) and the Secular Student Alliance (SSA) at the Ohio State University (OSU) also in the >125 team network. 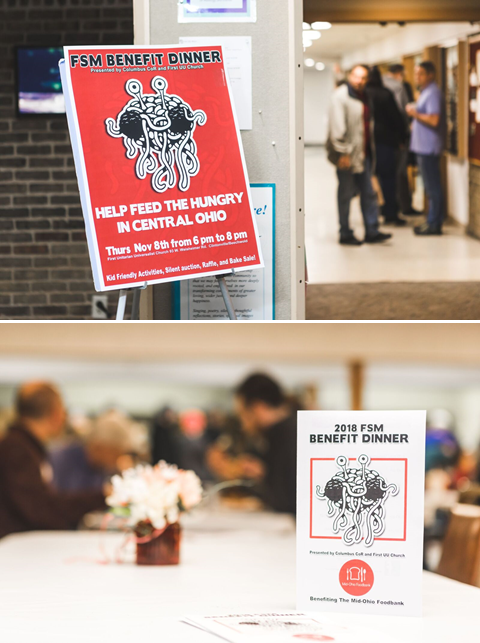 Columbus CoR groups are involved with various charitable projects throughout the year including the upcoming 5th Annual Flying Spaghetti Monster (FSM) Benefit Dinner scheduled for Thursday November 10th. BBN also announced the August Picture of the Month: “At their monthly giveaway, Austin Humanists at Work put their humanism to work by handing out schools supplies and other late-summer necessities to 169 fellow residents in need. They did so while wearing t-shirts that said Humanism at Work.” COUNT was awarded July Picture of the Month for Derrick Strobl’s photo taken while volunteering at the 2016 national Secular Student Alliance conference. COUNT invites other Columbus CoR groups to partner on shelter events which have logged 463.5 hours by 61 volunteers since January 2015. COUNT Project Organizer Mike Bondoc will speak at the UU Atheists, Skeptics and Humanists (ASH) group’s 9/27 meeting about this. COUNT and HCCO continue to hold joint volunteer events at the Van Buren Drive homeless shelter on the 2nd Tuesday of each month. The HCCO shelter team, led by Blair Prusha and Gena Deffenbaugh, has been working with COUNT since December 2015. RSVP with either group on October 11th (COUNT/HCCO), Election Day/November 8th (COUNT/HCCO) and December 13th (COUNT/HCCO). Participants often join the Omnipresent Atheists (OA) social meetup in progress at Hampton’s on King afterwards. COUNT, OA, HCCO, SSA at OSU, MOA and UU ASH are members of Columbus CoR. Previous Previous post: Reason needs you! Support your local group.